In faith, we see how you work on us, O God. In hope, we consider how you pray for us. In truth, we know that you govern us, O Lord. In love, we trust that you have saved us for the eventual completion of the joy of Jesus Christ. Thus, we gather to seek your presence, to rejoice in your wondrous works, and to glorify your holy name. Jesus tells of many persecutions to come, but somewhat surprisingly this section of Mark (13:9b-12) has been used in Matthew’s missionary discourse (10:17-22a), which suggests the essentially apocalyptic nature of the evangelical mission and the essentially missional nature of the apocalyptic discourse; in short, the fact that the material appears interchangeable at points suggests certain patterns of resistance will be met with by the first disciples, even during Jesus’ earthly ministry, as well as by those who, generations later, will testify before “governors and kings” (Matt 10:18; Mark 13:9). Also common to both passages is the promise that the Holy Spirit (Mark 13:11) or “the Spirit of your Father” (Matt 10:2) will do the speaking, therefore the disciples are not to rehearse or be anxious about what to say. The preacher has the option, of course, to simply choose one version of the apocalyptic discourse or the other, in which case it is not necessary to use the material from Matthew’s missionary discourse, but the preacher should be aware of the differences. The Matthean arrangement (above) taken from two chapters makes for the more thorough reading, but the same results could be achieved by reading both Mark 13:9-13 and Matthew 24:10-14 (in that order), which would capture the unique material in each, while duplicating very little material, the primary exception being the important phrase: “But the one who endures to the end will be saved” (Mk 13:13b; Matt 24:13), regarding which see below. The primary points to recognize are as follows. First, although this material from Mark (13:9-13) does occur elsewhere in Matthew (10:17-22a), neither version appears in the RCL. Although the Lukan parallel (21:12-19) does occur within the gospel lection (21:5-19) for 33rd Ordinary (Year C), that parallel does not include the promise of the Holy Spirit per se (since Luke 12:11-12 is not in the RCL), but simply the promise of “a mouth and wisdom, which none of your adversaries will be able to withstand or contradict” (21:14-15). Second, the uniquely Matthean material (24:10-12, 14) should not be missed, which contains important warnings against betrayal, hatred, false prophets, going astray, and falling away (vv. 10-11); especially important is the warning that, as lawlessness increases, “the love of many will grow cold” (Matt 24:12). Here, as elsewhere, we should realize that the question in the foreground is not when, but what … and how. Preachers should recognize and remind their congregations at this point that love forms the basis of the Great Commandment (Matt 22:34-40); love is the matter of greatest importance, greater than the avoidance of suffering, greater even than faith itself (1Cor 13:13), though in no way at odds with it; it is said to be the very nature of God himself (1Jn 4:8, 16); thus, for all the warnings and dire predictions mentioned in the apocalyptic discourse, none is more sobering than the possibility, indeed, the certainty that the love of many will grow cold. That the RCL has excluded this most important warning of all (Matt 24:12) is lamentable, to say the least, and could explain in no small measure the general state of health of our mainline denominations today. Third, as Jesus finally turns to address the question of when, the very question the disciples asked in the first place, another uniquely Matthean verse confirms what we have said above, namely, that the apocalyptic discourse is thoroughly missional in its aim: “And this good news of the kingdom will be proclaimed throughout the world, as a testimony to all the nations; and then the end will come” (Matt 24:14). In other words, the end will not come until the church’s witness is complete (cf. Mark 13:10). “Note that in the series of historical signs listed in Mt 25:31-46, the last and culminating sign is the work of the community” [Karl Barth, Church Dogmatics, III.2: The Doctrine of Creation (Edinburgh: T & T Clark, 1960) 507]. This does not mean the church must build the kingdom and complete it before Jesus comes again, but it does mean that all the nations must have heard the Word and witnessed the light of the gospel through the testimony of the church. More than this, however, in the context of this question regarding the return of Jesus, the presupposition of the absence of Jesus must not be allowed to remain unquestioned or stand unqualified. In his discussion of “Jesus, Lord of Time,” Karl Barth warns of “two opposite but closely connected errors” that need to be avoided. Both concern the presumed absence of Jesus: “In the first case He is absent because there is no recognition of the consoling power of His resurrection for the present life of the community. In the second, He is absent because no serious account is taken of His future and its critical power for the present life of the community” [Barth, CD, III.2, 511]. The first amounts to “a failure to recognize the consolation of the Holy Spirit in whose work the community may find full satisfaction at every moment in its time of waiting . The second results from “a failure to recognize the criticism of the Holy Spirit, whose work keeps the community moving towards its Lord in dissatisfaction with its present condition, from regarding its condition as absolute. When this is not perceived, (the Church) forgets that it is on the march, and that though the inauguration of Jesus’ revelation of His glory is behind it, the consummation is still to come” . While it is tempting to see these errors at work in different branches of the church, the sad reality is that both the “underestimation of the origin of the community in (Jesus’) resurrection”  and the “exaggerated estimation of the greatness of the community in consequence of an equally exaggerated estimate of its present existence in relation to the parousia” (what Barth calls “the ‘de-eschatologising’ of Christianity with a vengeance!”) [510-11] are in evidence in the mainline churches today, wherein the RCL is used. The simple fact that Year D must labor so to reintroduce the eschatological discourse into the preaching rotation of the church, a rotation derived from the lectionary of the Roman Church, which Barth designated (in 1960) “the typical form of this de-eschatologized Christianity” , clearly demonstrates that this error remains a major problem long after Vatican II and the Constitution of the Sacred Liturgy. Yet even in this short section of the apocalyptic discourse, we have identified a specific omission that would offer, in the midst of the apocalyptic discourse itself, the present-tense consolation and inspiration of the Holy Spirit; hence, the former error, of spirit-less Christianity, remains just as likely as well. This is a classic example of an individual psalm of lament, a fourfold plea for God to save and vindicate the psalmist (v. 1), to hear and “give ear” to his prayer (v. 2). These four imperatives are followed by a threefold description of the insolent, ruthless, and godless enemies, with the central emphasis falling on the fact that they are trying to kill the psalmist (v. 3). There follows the typical “turn” from complaint to a profession of faith in God’s covenantal role and identity as the psalmist’s “helper” and “upholder of my life” (v. 4). A subsequent expression of assurance that God will “repay my enemies for their evil,” is supplemented with an imperative petition to “put an end to them,” and this appeal is warranted by God’s “faithfulness” (v. 5). Finally, a further future tense declaration, this time of the psalmist’s resolve to sacrifice and give thanks to the good name of the Lord (v. 6), is causally rooted in the Lord’s actions on behalf of the psalmist, though now those actions are stated in the past tense. “For he has delivered me from every trouble, and my eye has looked in triumph on my enemies” (v. 7). Although this “Maskil of David” is never once quoted or alluded to in the New Testament, it certainly seems a fitting prayer to offer in relation to this section of the apocalyptic discourse, in which Jesus foretells so many persecutions at the hands of an anonymous enemy; those who will hand over the disciples to be beaten, etc., are simply designated “they” (Mark 13:9; Matt 24:9), with no indication as to the specific identity of the enemy. Are they the false Christs (Matt 24:5), the uprising nations (v. 7)? Very likely, “they,” the εθνη, are not so much national entities, but “the pagans” in a more amorphous sense, though it is just possible that certain false Christs are intended who may feel empowered to take their perverse sense of justice into their own hands. The psalm is scarcely more specific, but those “who do not set God before them” (v. 3b) is a fitting, if vague, description. Whatever the case, one should not attempt to be too narrow in one’s interpretation of this psalm, but allow it to remain open and available to all who find themselves persecuted, in whatever generation, for bearing the name of Christ. In light of the formidable list of persecutions mentioned in the little apocalypse, this simple lament, with its encouraging turn to faith and praise, is a most reassuring prayer; thus this psalm, or one very like it, that transforms complaint into doxology should be used in conjunction with the gospel text to remind the listener of the faithfulness of God, even when one is surrounded by a hoard of ruthless enemies. If any difficulty attends its use, it is the question of whether or not one can pray this psalm with one’s love in tact, that is, with love for one’s enemies. If one examines the psalm carefully, there appear only three trouble spots, namely, the cry for vengeance (v. 5a), the petition that the Lord would “put an end to” the enemies (v. 5b), and the evident satisfaction expressed when the psalmist declares, “my eye has looked in triumph” on them (v. 7b). The first may be dealt with simply by recognizing that there is a righteous resignation in the psalmist’s deference to the Lord’s vengeance, that is, that he does not seek to take vengeance into his own hands. As to the second and the third, the question may simply be asked, what does triumph look like through the eyes of love? How does love view the “end” of the enemy? From a New Testament perspective, might love not, perhaps, view triumph and termination of enmity in terms of, say, reconciliation? Does an enemy not meet his “end” when he is no longer an enemy, but a friend? Is there not a loving sort of satisfaction that one may enjoy, free of all smugness, when reconciliation recasts the entire situation? These are at least possibilities that should be considered before one becomes overly scrupulous about praying this psalm in its entirety, with no redactions. Once again reminded of the semi-continuous arrangement of the epistle reading at this juncture, we should not expect or forcefully impose any direct correspondence between this lection and the apocalyptic discourse. Nevertheless, it is certainly not outside the bounds of responsible exegesis to remark once more upon Paul’s missionary and eschatological perspective, and on the way this perspective informs the way in which he goes about seeking to fulfill his apostolic commission. Paul was never one to take his apostolic authority for granted, but unlike the twelve, he felt the need to defend and explain it numerous times (in addition to 1Cor 9:1-14, see 2Cor 2:14-3:6; 10-13; and Gal 1:11-2:21), not least for the fact that his rhetorical contention: “Have I not seen Jesus our Lord?” (v. 2), was based upon a heavenly vision (Acts 9:1-9) rather than a contemporaneous sharing with Jesus in his earthly ministry, as the twelve were able to claim (Acts 1:21-26). Here, Paul’s argument for the rights of the apostle are not made for himself only, but for Barnabas and others as well (1Cor 9:6). Further, his case is not finally made based on his own experience, but on scripture itself (vv. 8-9). Notice that the nature of the argument is that the servant, whether working in the military, planting a vineyard, or tending sheep, should not be deprived of incentive, or stripped of the hope in sharing in the benefits, the profits, the fruitful produce of his work (v. 7). Paul’s appeal to scripture likens the laborer to an ox, who is not to be muzzled and thus unable to help itself to the grain that he treads out (vv. 8-9). How much more should a human apostle share in the benefits of gospel ministry than an ox, and how much more should he share in the material benefits when the good work he has done is of a spiritual, and thus eternal and enduring, nature? There is a strong argument here for the appropriateness of compensating fairly those who are called to the apostolic ministry, but the wise preacher will not take this argument up to make it for himself or herself; moreover, the preacher should be alert to where Paul is going with this, for he is about to raise the stakes by voluntarily foregoing the very benefits for which he has made such a strong argument. The defense of his apostolic authority and his case for the rights of an apostle, of course, are not Paul’s true aim; rather, these form the presupposition for his explanation as to why he freely chooses not to make use of these rights (vv. 12b, 15, 18), and here his point is entirely missionary: “we endure anything rather than put an obstacle in the way of the gospel of Christ” (v. 12b); “woe to me if I do not proclaim the gospel!” (v. 16); “What then is my reward? Just this: that I may make the gospel free of charge” (v. 18); “I have become all things to all people, that I might by all means save some. I do it all for the sake of the gospel, so that I may share in its blessings” (vv. 22-23). Again, the preacher should be aware that Paul’s driving missionary motivation here is of a piece with his eschatological outlook, but this should in no way mitigate the force of his argument, as though Paul was mistaken to hold such a view, as is often fallaciously argued. On the contrary, it is precisely such an outlook the preacher of this material, the preacher of every generation, should hope to foster in the mainline congregations with the aim of awakening the churches to a new sense of evangelical mission, a fresh sense of urgency, and a driving desire to make “the most of the time” (Eph 5:15; Col 4:5). This passage should probably include the entire chapter from v. 1 through at least v. 29. Several features are repeated, such as the foretelling of Moses’ death (vv. 2, 14, 16, 29), the identification of Joshua as Moses’ successor (vv. 3, 8, 14, 23), the admonition to Joshua to “be strong and bold” (vv. 7-8, 23; cf. Josh 1:6, 7, 9, 18), which admonition is issued to Israel as well (v. 6); this repetition both demonstrates continuity and makes it possible to shorten the reading while retaining the main thrust. The chapter as a whole is built around these words of encouragement to (vv. 7-8, 23) and the commissioning of Joshua (vv. 14-15), which function as hinges between the major sections: the promise that the Lord will grant the Israelites conquest of the land (vv. 1-8); the prescriptive conditions for covenant renewal by keeping the festival of booths every Sabbath year (vv. 9-15); the prophecy that the people will break the covenant and face “many terrible troubles” as a result (vv. 16-23); and provisions for reminding the Israelites of this prophecy by the ceremonial displaying of the law (v. 26) and the singing (v. 28; cf. vv. 19, 21) of the Song of Moses (31:30-32:47) that will serve as a testimony against them. Clearly one can detect a certain sense of deterioration in the successive panels, so to speak, of this chapter in four frames. Unless the preacher elects to read the entire chapter, s/he would be well advised to carefully consider the distinct emphasis of each section. Is the message the Lord’s promise of fearless conquest? Is it a call to renew the covenant? Is it a word of judgment for forsaking the Lord and breaking the covenant? Such questions should guide the preacher in selecting which section of this chapter to emphasize, though if the latter section is emphasized, it should not be without some reference to the Song of Moses itself. Thus the boundaries of this reading should be considered perhaps more fluid and flexible than most. Patrick Miller’s reading of this passage is helpful in that he identifies three strands: the naming Joshua as Moses’ successor (31:1-8, 14-15, 23), the “reading and keeping of the law” (31:9-13; 24-29), and the “song of witness” (31:16-22, 30; 32:1-47) [Patrick D. Miller, Deuteronomy: Interpretation: A Bible Commentary for Teaching and Preaching (Louisville: John Knox Press, 1990), 216-35]. With respect to the former, what impresses one is the sense in which this material, as we reach the end of the Torah, takes such pains to establish firmly a sense of continuity with what comes afterwards, not only in terms of individual leadership, but primarily “with assurance of the Lord’s presence” (218). Where Miller’s reading is especially helpful, however, is in his distinguishing the tightly wound strands of the law and the song of witness. While the Song of Moses itself occurs in Year D as a reading unto itself on the 9th Sunday of Ordinary Time, here the preface to the song is included by virtue of the testimonial connection between the song, as well as the book of the law, as a witness against the people (Deut 31:19, 26) [NB: Miller associates this section with the second use of the law in Christian theology, an unsettling counterpoint to the vitality promised by the Torah generally (222-23)] and the prophetic, testimonial role the disciples will play when they are under persecution (Matt 10:18). This connection, by way of the construction [εις μαρτυριον], subtle as it may appear, is explicitly noted in Nestle-Aland; it is not unlike the tension we find in another important Year D text, namely, John 12:47-50 (Christmas Day and Christ the King), wherein the Word incarnate both refrains from judging in order to save, while allowing the word he has spoken to serve as judge on the last day. Hopefully it is just this sense of verbal fixity that the preacher will bring to this apocalyptic material; as inscrutable as it appears now, there will come a time when what has been foretold will occur and then the word that Jesus has spoken – and here Moses – will be vindicated. Like many such texts (see Pss 12:1; 14:1-2; 53:1-2; Isa 53:6; and Rom 3), this oracle laments the total absence of any righteous: “The faithful have disappeared from the land and there is no one left who is upright” (Mic 7:2a). Particularly alarming is the sweeping description of violence on every front: “they all lie in wait for blood, and they hunt each other with nets” (v. 2b; cf. Ps 12:8). The depth and totality of the depravity to which the prophet testifies is such that it reaches from the leaders of the community (“the official and the judge”) to the members of one’s own household; one’s closest friends, even one’s spouse - not to be trusted! (v. 5) Here (v. 6) is found the source text for not only the allusion that occurs in the section of the missionary discourse (Matt 10:21) which Year D pairs with the Olivet speech, but also for the direct quotation that we find later in Matthew’s missionary discourse [see Matt 10:35; 12th Ordinary (A)], a warning that Jesus prefaces by saying, “I have not come to bring peace but a sword” (Matt 10:34), one that causes division within families. Yes, Jesus himself will make use of this text to claim responsibility for undermining trust in one’s closest relationships, presumably to realign such ultimate reliance to, and reserve it for, himself. Preaching this text is extraordinarily daunting, not least for the fact that the text itself twice bears a label stating (each time in parallel fashion) that it is to remain “secret (…) and sealed until the time of the end” (12:4, 9). 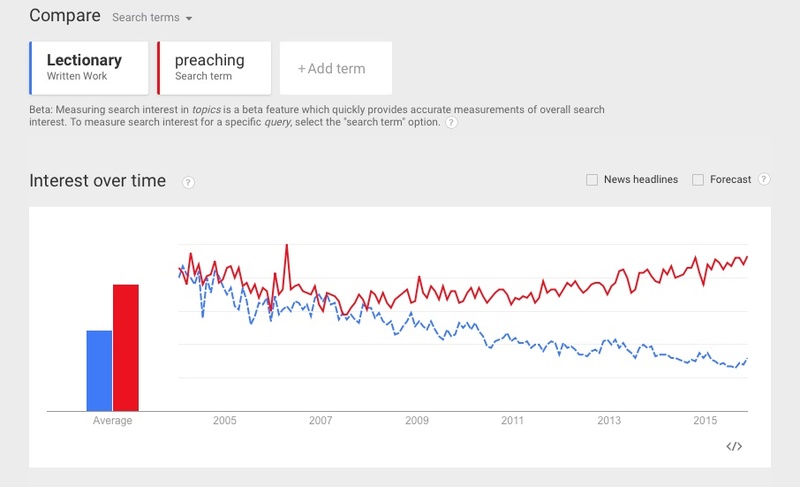 Should we preach it all? Certainly we should preach it, insofar as it actually reveals something, but just as certainly we should not presume to preach that which it does not, and does not intend, to reveal just yet. Another reason for exercising a certain prophetic modesty is that scholars, even those writing for an evangelical audience, differ over such basic questions as what to do with predicted actions that were not fulfilled by Antiochus Epiphanes IV (11:40-45) and whether or not the end-time antichrist figure is intended to fulfill them. John E. Goldingay [Word Bible Commentary, Vol. 30: Daniel (Dallas: Word Books, 1989), 305] says not, while the editors of the popular NIV Study Bible are unabashed in their assertion that the antichrist is the one to fulfill these verses. The difficulty with the former assertion is that one must finally attribute non-literal interpretations of what appear to be very concrete events to the imagination of the seer Daniel, as Goldingay does, which begs the question, ‘What are these verses doing in scripture, if they are neither fulfilled nor to be fulfilled in the last days?’ The difficulty with the latter is that there appears no discernible basis for the leap into futuristic interpretation from the mid-second c. B.C. to the eschaton, for although we have the phrase, “At the time of the end” (v. 36), we find it is still attached to the indefinite pronoun “him,” while the search for an antecedent leads us inescapably into the tangled thicket of such pronouns in Dan 11. UPDATED [May 1, 2011]: One thing we can and should say, however, without being immodest, i.e., by simply applying ourselves to the work of translation, is that the temporal references to a specific number of days that call for endurance have been consistently mistranslated. I have yet to find a major translation, or even a minor one, that properly renders the prepositions in Dan 12:11, which should include the word "to" before "the abomination ..." In other words, "(And) from the time that the regular burnt offering is taken away (and) to (!) set up [or to the setting up of] the abomination of desolation, there shall be 1290 days." What this means, quite simply, is that the removal of the daily sacrifice and the installation of the abomination do not take place on the same day (as is implied when the second preposition is omitted). On the contrary, there is an interval in between, of 1290 days, in the same way that there was apparently an interval (of some two months) in between the removal of the LORD's altar and the installation of the pagan altar by Antiochus Epiphanes IV in 165 BC [see NIV Study Bible, p. 1312, and the note on 8:13]. For the parsing of the verb [velateth] in 12:11, see J. J. Owens, Analytical Key to the Old Testament, Vol. 4, p. 757, where Owens denotes it as: conj. - prep. - Qal inf. cstr. (678). Oddly, Owens translates it: "And ... is set up." But that again does not recognize the proposition [le-] that Owens himself identifies. A. B. Davidson's Introductory Hebrew Grammar, p. 114, clearly shows the infinitive construct of n-t-n as teth. Thus, velateth should be translated: "and to set up ..."
In short, what this means for endurance, is that the difference between the 1290 days and the 1335 days, or the final 45 days - at the end of which the enduring will be blessed and happy (v. 12) - are (or will be) the days of the most intense suffering, when the sacrilege, "whatever the hell" it is, will be in full operation, and the faithful will likely be tested to their very utmost. The good news in this reading of this admittedly daunting text is that we are not talking 3 1/2 years of absolute in extremis, but more like 6 1/2 weeks, call it seven for good measure. And that is something at which those who observe the fasts of, say, Lent and Advent, should be well practiced. Redeeming God, we confess that we frequently set our minds on matters of the flesh and fail to submit ourselves to the rule of your life-giving Spirit. How can we please you when we shrink from trouble and persecution, when we lack the courage and faith to withstand times of testing? How can we please you when we allow the cares of the world to lure us away from you, when we so easily surrender your blessing and joy? Forgive us, O God, and give us courage, strength, and healing! Help us redirect our aims and our attitudes toward you. Let the seal of your Holy Spirit remain upon us and the Spirit of Christ abide within us, that we might share in the eternal life of the One who died to set us free from sin. The most unique feature of Year D is its appropriation of some twenty weeks in what is traditionally known as Ordinary Time for preaching through Jesus’ Apocalyptic Discourse (five weeks), a Prelude to the Passion (consisting of several challenges to Jesus’ authority spread over four weeks), and the Passion Narrative itself (ten weeks, including World Communion Sunday), and culminating in Christ the King Sunday (one week). This sequence corresponds to the narrative trajectory in the later chapters of the gospels themselves. Owing to the manner in which the three-year cycle of the RCL arranges the gospel material, however, i.e., to culminate with Resurrection Sunday, the season of “Easter,” and Pentecost, a certain sense of continuity is lost where the events leading to Jesus’ death are concerned. Congregations are less likely to hear many of Jesus’ more difficult futuristic and ethically demanding sayings, more likely to see him as a passive victim than as the Son of God on a mission to fulfill the scriptures, to turn the tables on the religious authorities, to defeat the forces of evil on the cross, and to conquer death by his Resurrection. As it is, the birth and baptism narratives are soon followed by the calling of the disciples and accounts of Jesus’ teaching and miracles, including his glorious self-disclosure in the Transfiguration. Between Transfiguration and Holy Week, however, the season of Lent places the focus of the readings on self-examination, repentance, and possibilities for new life in Christ [see Stookey, Calendar (Nashville, Abingdon, 1996) 80-84]. Any sense of the plot is either compacted into the weekdays between Jesus’ triumphal entry into Jerusalem (Palm Sunday) and his crucifixion (Good Friday), or further crushed into a single “Passion Sunday” observance. As an alternative to the RCL’s way of truncating the action in the latter chapters of the gospels, Year D ventures a painstaking journey to the cross, the preliminary steps toward which unfold in Jesus’ apocalyptic discourse on the Mount of Olives (hence, the “Olivet discourse”). The “little apocalpyse” (yet another name by which it is known) technically belongs to what I have called elsewhere the “Prelude to the Passion” for it comes after and perhaps in direct response to, not before, Jesus’ final confrontation with the religious authorities in the temple. Nevertheless, as the discourse constitutes a lengthy futuristic “aside” in the gospels themselves and interrupts the account of the historical events that led to the cross, Year D brings it forward somewhat, thus allowing for the narrative action to flow more continuously. While this may appear somewhat out of sequence from the Matthean and Marcan perspectives, the fact is that most of Jesus’ apocalyptic sayings in Luke (and even some in Matthew) are arranged prior to his triumphal entry into Jerusalem. Though historically we may be inclined to favor Mark’s ordering of this material, our purpose here is not to interrupt the journey to the cross with the apocalypse, but to set the stage for it. The Bible’s apocalyptic texts, of course, should be fair game for preaching any Sunday of the year. If the proverb holds that “every Sunday is a little Easter” and the Resurrection is of a piece with the eschaton, then there is absolutely no reason to restrict apocalyptic texts to a Sunday or two in Advent, the Sundays of Easter (Year C), or the last few Sundays leading up to Christ the King. On the contrary, instead of following the commonplace reminder issued every First Sunday of Advent, i.e., that “advent” pertains not only Jesus’ first coming in the incarnation but to his second coming as well, with a gainsaying inversion from the prospective to the retrospective in the subsequent Sundays of Advent, preachers should be encouraged to set aside their trepidation when it comes to preaching eschatology and give expression to the Christian hope with ever greater frequency. Year D provides for increased opportunities to preach apocalyptic texts throughout the year; with respect to the gospels in particular, it lays hold of not merely a snippet, but the whole of the apocalyptic discourse and places spreads it over five weeks of midsummer (July/August), namely, the 15th through the 19th Sundays of Ordinary Time. During these Sundays, of course, the Gospel lection takes the lead, with the Matthean material setting the tempo. While both the opening and closing section of Mark’s apocalypse (13:1-8 and 13:24-37) are included in the RCL (B), on 33rd Ordinary and Advent 1, respectively, these sections are separated by the better part of a year. Meanwhile, the much more fulsome material from Matthew 24 is given only one Sunday, Advent 1 (A), and then this solitary lection (24:36-44) stops short of what is perhaps the most important and instructive text that has bearing on the present project, namely, the task of text selection for feeding one’s fellow Christian servants! “Who then is the faithful and wise slave, whom his master has put in charge of his household, to give the other slaves their allowance of food at the proper time? Blessed is that slave whom his master will find at work when he arrives. Truly I tell you, he will put that one in charge of all his possessions. But if that wicked slave says to himself, ‘My master is delayed,’ and he begins to beat his fellow slaves, and eats and drinks with drunkards, the master of that slave will come on a day when he does not expect him and at an hour that he does not know. He will cut him in pieces and put him with the hypocrites, where there will be weeping and gnashing of teeth” (Matt. 24:45-51). According to Matthew’s arrangement, the eschatological discourse actually runs through Matthew 25. Since the parables of the ten bridesmaids (25:1-13), the talents (25:14-30), and the oracle of the sheep and the goats (25:31-46) are well represented in Year A (32nd-34th Ordinary), our focus will be on Matthew 24. Mark’s shorter version of this introductory section occurs in Year B, and the Lukan parallel in Year C (both on 33rd Ordinary). In each of the synoptic gospels, the occasion for the discourse is Jesus’ prophecy of the destruction of the temple with specific reference to the fact that not one stone will be left upon another: lithos epi lithon. The prophecy itself is in response to: (1) most immediately, the disciples’ expressed admiration of the temple with its large, wonderful (Mk 13:1) and beautiful, noble (Lk 21:5) stones; and (2) the whole series of contestations with the religious authorities in the temple, including Jesus’ cleansing of the temple, his declaration of woe to the scribes and Pharisees, his parables told against the wicked tenants and the guests who excuse themselves from the wedding banquet, his debates concerning authority, the resurrection, and the identity of the Messiah, and his lament over Jerusalem; in short, the prophecy occurs in response to the spiritual hardness of the Jewish authorities and the moral corruption that temple worship had acquired, all of which is embodied in the fruitlessness of the fig tree that Jesus curses on the way to the temple. In Matthew and Mark, Jesus and his disciples remove to the Mount of Olives whence the conversation continues. The disciples ask: “when will this be, and what will be the sign (σεμειον) ...?” In Luke, the question is specific: “what will be the sign that this is about to take place?” (21:7) Mark puts the question more broadly: “what will be the sign that all these things are about to be accomplished?” (13:4) Matthew alone completes the question in terms of the second coming: “what will be the sign of your coming and of the end of the age?” (24:3) This then is how the evangelists set the stage of the apocalyptic discourse. Oddly enough, when asked for the sign, Jesus responds by listing several things that will happen, but are not the sign itself – that will come later (see Mt 24:30) - but merely “the beginning of the birth pangs” (24:8). In the indicative mood, Jesus foretells the coming of pseudo-christs who will lead many astray (24:5), “wars and rumors of wars” (v. 6), uprisings between nations, “famines and earthquakes in various places” (v. 7). Again, these are beginnings, but they are not the sign. In fact, Jesus uses the same impersonal construction in each of the synoptics to say, these things must take place [δει … γενεσθαι], the verb [δει] connoting that which is proper and fitting, born of an inner necessity. As to the specifics of these events, Jesus appears to be intentionally vague at this point, for he is more concerned that his disciples face the future with the proper perspective than he is with divulging historical details of events to come. Hence, the heart of any sermon based on this introduction to the Olivet discourse will be found in the imperatives, and Matthew’s perspective is particularly important. All three synoptic writers use the imperative warning: “Beware” or “take heed” [βλεπετε] (Mt 24:4, par. ), after which Luke employs a series of passive subjunctives (Lk 21:8-9). The only other imperative Jesus uses in this section of Mark is the relatively rare θροεισθαι [cf. 2Th 2:2], in order to say, “do not be alarmed” (13:7) … at the prospect of wars and rumors of wars! Matthew also uses this verb, but he couples it with another imperative, thus adding great emphasis: “See (to it) that you are not alarmed” [`ορατε μη θροεισθε] (Mt 24:6). In short, Jesus exhorts his disciples with a double imperative: “By no means should you allow yourselves to be terrified. 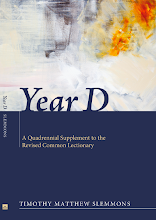 Year D restores many laments psalms to their rightful place in the Psalter with the aim of encouraging the church to pray the full complement of the psalms. While many of these psalms, such as Psalm 17, are individual laments, Psalm 83 is a communal lament, one that has come to be regarded as particularly problematic, evidently for its extended imprecation against the enemies of Israel (vv. 9-18). As William L. Holladay has observed, even the Roman Catholic “Liturgy of the Hours” omits Psalm 83 (along with Pss 58 and 109) from its otherwise comprehensive four-week cycle [see Holladay, The Psalms through Three Thousand Years (Minneapolis: Fortress Press, 193), p. 304]. No doubt there are many reasons for this omission, but we proceed from the point of view that they are not insurmountable, consistent, or finally compelling. Whether one objects to the cry for vengeance (vv. 9-13, 17) from the point of view of Christian ethics, to the dense list of names of seemingly obscure enemies (vv. 6-11), or to the assumption that these specific historical enemies have any ongoing relevance today or any bearing on the modern state of Israel, Psalm 83 is not so unique among the psalms in any of these respect as to warrant banishment from the Psalter. On the contrary, each of these objections may be answered satisfactorily, not only so as to make a place for the use of this psalm, but to raise its use to a matter of considerable urgency. To take the above objections in reverse order, first, we should be careful not to regard the opening verses with too much skepticism or to confuse them with imperative imprecation. Although the psalmist begins by calling on God to speak and act (v. 1), what follows is not a curse or an appeal for vengeance as such, but simply an indicative report of enemy activity (vv. 2-8). As is often said, you are not technically paranoid if your enemies really are out to get you. This report has the ring of Hezekiah’s simple prayer when the Assyrian emissary, the Rabshakeh, threatened the besieged Jerusalem by mocking the LORD’s ability to deliver his people, whereupon Hezekiah prayed: “hear the words of Sennacharib, which he has sent to mock the living God” (2Kings 19:16). Here too the psalmist simply reports what the enemy is doing and saying: “They lay crafty plans against your people; they consult together against those you protect” (v. 3). Next, the psalmist reports a direct quote from the enemy’s rhetoric, one that could be lifted from the newspaper today: “They say, ‘Come, let us wipe them out as a nation; let the name of Israel be remembered no more’” (v. 4). With such statements very much a part of the rhetoric, as well as the political and military strategizing, in the Middle East today, where nation relentlessly rises against nation, is “the Israel of God” (Gal 6:16) to hamstring itself by censoring its own prayer-book specifically at this point? Perhaps it is precisely in the face of just such existential threats to Israel’s existence as one hears from Iran, et al., that the church should learn to pray Psalm 83. Second, rather than shy away from the list of names (vv. 6 -11) that seem to weigh down the midsection of this psalm, the preacher might use these verses as an educative entrée to the table of nations (Gen 10) or to major events in Israel’s past as teaching moments, an occasion for recounting the LORD’s mighty acts of deliverance. Harry Emerson Fosdick’s quip, now a homiletical commonplace in certain circles, advised preachers that people do not come to church to learn what happened to the Jebusites. But this argument for the contemporary pastoral relevance of the sermon, a clincher for those who hold to a modernist view of preaching, risks foreclosing not simply on the historical or “biblicist” (read sneeringly “fundamentalist”) interpretation, it also effectively locks the door (Lk 11:52) to all spiritual and prophetic inquiry as it relates to the topographical and geographical “lay of the land,” so to speak. What happened to those who occupied the land before Israel’s conquest is not what the Bible considers an irrelevant question (see e.g., Gen 15:16; Lev 18:24: Deut 8:24; et al). Least of all should preachers dismiss such historical, biblical, and contemporary explorations of Israel’s “international relations,” when we see both the Jewish state, the church in the west, and indeed, western civilization as a whole, under persistent threat. Indeed, we might be wise to consider whether the failure of the church to pray Psalm 83 (and numerous other such laments) has contributed directly to the present state of the church and to mounting crises in the world. A fragmentary reading of Psalm 17 is twice represented in the RCL, with vv. 1-7 and 15 being used on 18th Ordinary (A) and vv. 1-9 on the 32nd Ordinary/Proper 27 (C). 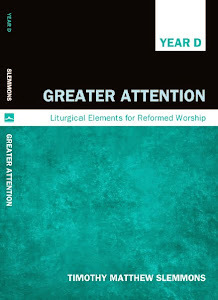 Since, however, the latter is not represented in the Book of Common Worship of the PC(USA) [Louisville: Westminster/John Knox Press, 1993], the primary worship resource of my own denomination, the former selection will be considered normative for our purposes, hence, the supplementary lection for Year D (with the aim of canonical completion) will focus on vv. 8-14. This not to say the surrounding verses should not be included when employing Year D. On the contrary, since the Psalm 17 is not overly long, one would think it best to simply read and pray the entire psalm as is, with no deletions. With the omission of v. 8, the psalm loses two strong and vivid imperatives: “Guard me as the apple of the eye; hide me in the shadow of your wings.” The apple of the eye is, of course, the pupil, and the physical response to any threat to the eye is generally swift, even what we would call involuntary or automatic. Not that the psalmist asks for any suspension of the divine volition or has any knowledge of automatons, but in the world of cause and effect, the protective reaction to any threat to the apple of the eye is sharp, swift, and decisive; it is certainly no less so when the LORD is its protector (Deut 32:10; Zech 2:8). If we may venture a pedagogical aside, it is interesting to say the least, if ancillary to our discussion and likely coincidental, to note that the student or pupil of the Proverbs is admonished to “keep my teachings as the apple of your eye” (Prov 7:2). As with the communal lament of Psalm 83, much of this plea for deliverance is simply a complaint regarding enemy activity. All the worst attributes of the enemies are mentioned: mercilessness and arrogance (v. 10), eagerness to do violence (v. 12; cf. v. 4b), wickedness (v. 9), and worldliness (v. 14). Twice the psalmist observes how they “surround” (vv. 9, 11) him. He is hunted and desperate. Yet once again, the imperatives (taken together with those in v. 8) favor the protection of the psalmist: “Rise up, O LORD, … deliver my life” (v. 13), rather than any sense of gratuitous retribution. Certainly, the petition is for the LORD to “confront them, overthrown them,” and give deliverance “by your sword” (v. 13; cf. Rev 19:15-21). But there appears nothing over-the-top in this series of petitions, at least not when one weighs in the balances the overwhelming, swarming activity of the enemies as described in this psalm. If anything, the concluding subjunctives appear restrained and mildly resigned to the divine will, even if the assumptions underlying this resignation are if not entirely friendly. “May their bellies be filled with what you have stored up for them” (v. 14). No doubt the psalmist assumes this will be a cup of wrath that will be poured out on more than one generation of the wicked, but the appeal to the LORD’s will here is surprisingly trusting in light of the threats described. In short, the psalmist respects the fact that vengeance belongs to the LORD (Deut 32:35; Rom 12:19; Heb 10:30), and he is evidently content to let it reside there. With respect to the apocalyptic discourse, perhaps this lengthy chapter on marital relations might have greater bearing upon the gospel lection for 18th Ordinary (D), wherein Jesus declares, “Heaven and earth will pass away, but my words will not pass away” (Matt 24:35; cf. 1Cor 7:31). Or perhaps it might more readily speak to the one section of the discourse that has found its way into the RCL (Advent 1, Year A) wherein we read of the coming of the Son of Man “at an unexpected hour” until which time they will continue, “as (in) the days of Noah,” “marrying and giving in marriage” (Matt 24: 36-44). The simple, pragmatic fact is, however, that the unused material from 1Corinthians (and the remaining epistolary literature) has been arranged in semi-continuous fashion with occasional interruptions of the longer letters (which, over the course of Year D, happen to be arranged in reverse canonical order: Hebrews, 2 Corinthians, 1Corinthians, and Romans) where stronger correlations to the Gospels appear opportune. (5) a willingness to remain in the same social status in which one has come to Christ (vv. 17-24) or living ‘as if not’ (vv. 29-31). While the latter selection (7:29-31) is represented in the RCL (3rd Ordinary, Year B), the former (7:17-24) is not; the effect of this bifurcation has been to shift the attitude of which Paul speaks into the realm of abstraction and strip it of any obligation to social deference or submission. This may be perhaps the most difficult concept to grasp in this chapter, especially since Paul addresses not just the married and the unmarried, the circumcised and the uncircumcised, but also those who are slaves, and he urges them not to seek the status of a freed person. Frankly, on the surface of it, this simply does not square with the darling mainline doctrine of social justice and with recent progress made in the area of civil rights. Some caution is needed here, of course, for this passage has often been taken out of its original (Roman) context and misapplied, especially in the American south in the 18th-19th c., as a rationale for maintaining a very different and far more pernicious form of slavery. Nevertheless, we should not miss Paul’s essentially doxological reasoning here, which I have indicated above in addressing the Gospel lection: the greater glory of God is revealed in contrast. If Christian faith becomes a way of improving one’s own station in the world, then the world may easily dismiss the convert as one who is motivated by selfish gain. But when one utterly enmeshed in worldly affairs becomes a new creation in Christ while standing against the same worldly backdrop though no longer participating in it, then the light stands out against the darkness all the more brilliantly, the transformation becomes all the clearer, and the unbelieving onlooker will much more likely say, “What a change has come over him!” or “She is a whole new person.” What other explanation can there be but that God has done a new thing? Give glory to God! Thus, at every point, Paul is concerned with, and urges the Corinthians to be concerned with, the propagation of the gospel for the glory of God, yes, even by calling people to the highest form of sexual ethics. The temple sermon of Jeremiah is so important it appears twice in the book of the major prophet, both here and in Jeremiah 26:1-24 (esp. vv. 1-6), but never once in the RCL. I chose to include it here, at the outset of the apocalyptic discourse, because of the strong parallels (noted in Nestle-Aland’s Novum Testamentum Graece) between the prophecy of Jeremiah (Jer 7:14) and the prophecy of Jesus (Matt 24:1-2) that the temple in Jerusalem would be destroyed. Two different temples are in view, of course, and both prophecies have been fulfilled. Jeremiah’s prophecy of the destruction of the first temple, built by Solomon, was fulfilled with its destruction by the Babylonian army in 586/7 BC; Jesus’ prophecy of the destruction of Herod’s temple (a major expansion of Zerubabel’s second temple) was fulfilled in AD 70, though it is also clear that Jesus spoke of another temple altogether (see John 2:13-21, esp. v. 21). Interestingly, tradition holds that both events occurred on the ninth day of the month of Av. Although the temple or “holy place” is not mentioned in the apocalyptic discourse itself until 17th Ordinary (D) (Matt 24:15), the question, or more precisely, the misunderstanding and misuse of the temple occasions a certain theme of “precipitation,” so to speak, in the prophecies of both Jeremiah and Jesus, as well as in the contrast between the devil’s temptation of Jesus (Luke 4:9-13) and apocalyptic scenarios that require both the erection of a third temple (see, e.g., Ezek 40-48), its defilement by a “man of lawlessness” (2Thess 2:3-4), the destruction of the same figure, at the return of Jesus, by “the breath of his mouth” (2:8). In short, the preacher should perhaps deal with the role of the temple at the outset, for both the temple sermon of Jeremiah and the prophecy of Jesus that sets up the apocalyptic discourse serve to place the role of the temple in much-needed perspective. Jeremiah’s sermon, issued from the very front door of the temple itself, is obviously a call to repentance: “Amend your ways and your doings, and let me dwell with you in this place” (7:3). This saying is prefaced by “Thus says the LORD of hosts, the God of Israel;” hence, the first person “me” is a reference not to the prophet, but to the LORD himself. The verb rendered in the passive sense here is ambiguous and the alternative reading may be better: “and I will let you dwell with me.” Nevertheless, the possibility of a passive grammatical sense is not without its important theological implications, especially when we consider Jeremiah’s career as the weeping prophet and Jesus as the fulfillment of the suffering servant (Isa 52:13-53:12), as well as the stark figurative sense we have from the gospels that the temple is a direct reflection of Jesus’ physical body. Surely the covenantal framework of both testaments, particularly the terms established with Solomon at the dedication of the temple (1Kings 8), can well account for the “conditional” sense connoted by a passive reading here. In short, the presence of the LORD literally cannot abide by superstition and manipulative deception (Jer 7:4, 8, 10), injustice (7:6a, 9a, 11), and idolatry (7:6b, 9b), which taken collectively are here designated “abominations” (v. 10; cf. Matt 24:15; Mk 13:14). Indeed, it is to this sermon that Jesus makes an allusion when he cleanses the temple, charging the moneychangers with making it a “den of robbers” (Jer 7:11; Matt 21:13). The problem is that the “people of Judah” (Jer 7:2) had turned the sanctuary of the temple itself into nothing more than a “safe place,” quite apart from any understanding of the holy presence “the one who dwells in it” (Matt 23:16-22); thus, they presumed the holiness of the temple would protect them, regardless of their criminal and idolatrous conduct. Difficult as it may be to do so, the preacher of this text should take care not to secularize or politicize the denunciation of injustice here, where the oppression of “the alien, the orphan, and the widow” (v. 6a) and crimes against the neighbor (v. 9a) are concerned, for to do so is to miss the fact that, in each case, these oppressive crimes are mentioned in combination with idolatrous worship (v. 6b), including making “offerings to Baal” and the pursuit of other unknown gods (v. 9b). In other words, as with the Great Commandment that pertains first to the wholehearted love of the LORD your God and second to the love of neighbor (Matt 22:36-39), so too does justice pertain first and foremost to the worship of the LORD in spirit and in truth, and second to the neighbor. Conversely, we need to remember - and teach! - that the primary definition and form of injustice with which we should be concerned is injustice against God. Advocates of social justice, even within the church, almost always reverse this priority; worse yet, they rarely consider the primary sense at all, at least not in terms of “doing justice to God,” the very prospect of which is assumed to be impossible, since “doing justice” has become synonymous with retribution. But Jeremiah’s temple sermon serves as a corrective to this common error, especially when the prophet reminds the people in Jerusalem of the sad history of Shiloh, where an earlier shrine that once housed the ark of the covenant was destroyed and whence the ark was captured, all due to the corruption of the priestly sons of Eli, Hophni and Phinehas, in their administration of the people’s offerings to the LORD, for they “treated the offerings of the LORD with contempt” (2Sam 2:12-4:22; esp. 2:17). In signaling that previous episode, at the conclusion of which we are told repeatedly, “the glory … departed” from Israel (2Sam 4:19-22), Jeremiah’s sermon reminds us that, though social injustice is an evil that must be amended, liturgical injustice is far worse, for it reflects directly on the reputation, and detracts from the glory, of holy God of Israel, thus potentially driving a wedge between the LORD and his people and running counter to the mission of God. This, no doubt, is why the sins of the religious authorities, idolatrous priests, false prophets and teachers, hypocritical scribes, lawyers, Pharisees, and Sadducees, and are so consistently denounced throughout the whole of scripture, from beginning to end, for their (though, perhaps we should confess, “our”) misconduct sullies the LORD’s reputation and glory, at least, in the eyes of those who have yet to come to faith. What does this have to do with the apocalyptic discourse? Simply the fact that the “third temple” movement, along with the hope and expectation that both Jews and evangelical Christians tend to place in a reconstructed temple in Jerusalem, need to be placed in perspective, even as mainline and liberal Christians, who often tend toward mockery where futuristic prophecy is concerned, need to learn to regard this future event with far greater seriousness. Although biblical prophecies in both testaments undeniably infer that the stage must be set for the fulfillment of coming events, that is, if any vestige of plain sense or literal interpretation of these texts is to be mingled with the rich complex of typology, figure, allegory, and parable that make up the genre of apocalyptic prophecy, we must continue to guard against, on the one hand, cynically dismissing such texts and interpretations as the province of dispensational fundamentalism, and on the other, acquiring a sort of magical or automatic presupposition that the act of temple reconstruction will “trigger” events, either abominable (i.e., as in the case of the eventual defilement of the holy place) or glorious (i.e., the return of Jesus to reign on earth from Jerusalem). The temple, whether first, second, or third, is always and only holy insofar as the presence of the holy LORD elects to dwell therein, and in his own estimation, according to his own terms, he will only do so when the people of God, especially those who lead the people in worship, “amend (their) ways and doings” and put away all idolatrous practices that injure the LORD’s reputation and erect ethical stumbling blocks (Luke 17:1) that prevent those who seek him from entering (Luke 11:52) his place of prayer. In conclusion, what the mainline preacher needs to recognize is that, notwithstanding the tearing of the temple veil (Matt 27:51), the destruction of the temple in AD 70, and the commission of the church to witness to the gospel “to the ends of the earth” (Acts 1:8), the mission of God as revealed in the apocalyptic texts of the Bible speak not only in terms of expansion, but also of contraction – at very least, this is part of what is meant by “birth pangs” – and that contraction undeniably entails an eschatological focus on Judea and Samaria, and ultimately on Jerusalem. Unless the preacher is prepared to recognize this countervailing contraction, s/he is not prepared to do justice to the apocalyptic discourse or the temple sermon of Jeremiah, and should by no means attempt to preach on these texts. This text foretells, by way of a dream given to Nebuchadnezzar and revealed interpreted by Daniel, a series of successive and increasingly weak empires following the Babylonian empire of Nebuchadnezzar, the sequence of which will be brought to an end with the establishment of an everlasting (Messianic) kingdom that shall turn the others to chaff and supplant them, filling the whole earth. Under threat of execution along with all the other wise men of Babylon, the Hebrew exile Daniel responds “with prudence and discretion” (v. 14) to the king’s edict that unless the guild of prophets can tell his dream as well as its interpretation, they shall be put to death; Daniel asks for more time, but he adds with assurance that he will comply with the king’s request (v. 16), a task that by all accounts is impossible. How could Daniel make and keep such a promise, except by appealing to the very God of heaven who gave Nebuchadnezzar the dream in the first place? Daniel enlists his friends to pray with him “to seek mercy from the God of heaven concerning this mystery,” and God mercifully answers Daniel’s prayer, “so that Daniel with his companions and the rest of the wise men of Babylon might not perish” (v. 18). God reveals the mystery of the dream to Daniel “in a vision of the night, and Daniel (blesses) the God of heaven” (v. 19). The song itself is worthy of attention and a place of honor in the church’s liturgy and among its canticles. Once armed with the interpretation, Daniel first denies, at the risk of his own life, that he or any human being is able to reveal and interpret the dream; he also refuses to attribute any worthiness or wisdom on his own part (v. 30), but he gives glory to God, “the revealer of mysteries,” who has “disclosed to (Nebuchadnezzar) what is to be” at “the end of days” (vv. 28-29). With that phrase alone, this episode is freighted with apocalyptic significance. What are we to make of the dream itself and its interpretation? First of all, notice the enumeration of the kingdoms. Four are numbered, the fourth evidently being of pure iron, for no clay is mentioned in connection with the legs of the statue; where we would expect a fifth to be mentioned by number, the text simply makes mention of the feet and toes of both iron and clay, and then refers to “it” (v. 41). The focus then shifts to the toes, with no mention of the feet, though the composition of mixed materials is mentioned, which is identical with the feet, rendering them “partly strong and partly brittle” (v. 42). In short, there appears to be a total of six epochs in view, the fourth suggesting a certain purist “golden age” (so to speak) of iron, followed by a gradual division and dilution of power in the feet (iron and clay), followed by a further fragmentation (still iron and clay, but now branching out into the toes. The distinction between empires four and five is not clean, but for the introduction of division and weakness (clay), but still less clear is the distinction between the feet and the toes. More difficult and speculative is the task of identifying each of the separate parts of the statue with its respective imperial regime and/or era. The text is, of course, unambiguous regarding the fact that Nebuchadnezzar’s Babylonian empire corresponds to the statue’s golden head. After that, interpreters differ as to whether the silver chest and arms reflect the Median kingdom only or a conflated Medo-Persian empire, and this in turn has implications for whether Greece is to be associated with the bronze torso and thighs or the iron (lower) legs, and whether Rome is represented by the iron legs, by the iron mixed with clay, or perhaps not represented at all. A significant stream of current of scholarship holds that the fourth kingdom (encompassing the whole spectrum from strong, pure iron legs to brittle feet of clay) corresponds to the post-Alexandrian Ptolemaic and Seleucid era, which was certainly fragmentary. This interpretation surely limits the sense in which the vision bears upon the present day and necessitates a pre-Christian understanding of the “end of days” (v. 28), or rather one that identifies the first, rather than the second, advent of Christ with the divinely cut stone that destroys the statue and the becomes the everlasting mountain that fills the whole earth. While there is no doubt that the proper interpretation of this final kingdom corresponds to the Messianic kingdom of God, the difference between the first coming and the second coming of Christ is, of course, a matter of at least two millennia! The problem with the “first advent” interpretation is that it does not seem to satisfy the sense of finality and permanence connoted by the assertion: “It shall crush all these kingdoms and bring them to an end, and it shall stand forever” (v. 44b). On the other hand, the difficulty for those who associate the stone/mountain with the second coming becomes how to account for the ensuing centuries since the collapse of the Roman empire. Can we really read the entire two-thousand year history of western civilization since the birth of the church into the lower extremities of the statue? If so, how? Surely any such interpretation must aspire to a level of complexity as marvelous as the anatomy of the foot itself.